Unlike many other German Anabaptist ancestors, Susan’s mother, grandfather, and on back, were staunch Lutherans, as far as we know. 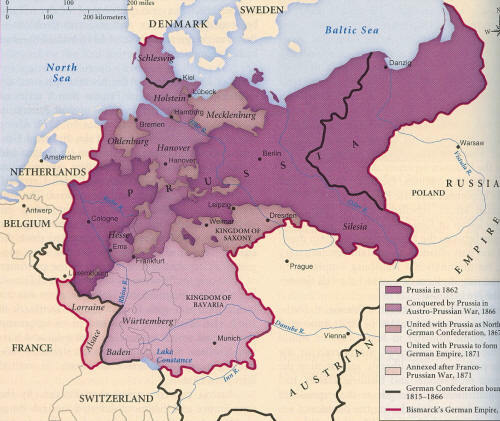 Her Great-grandfather Carl Ferdinand Krause (1840-1912) was born in Prussia (see map) and naturalized in the US in 1884. He married Margaret Georg (1856-1941) when she was only sixteen. He would have been twice her age. A strong woman, bearing him eleven children, her life stretched from just before the American Civil War until the start of World War II. Like many of her generation, in the years leading to that conflict, she was mindful of the tragedy of German-Americans about to fight relatives back in the Old World. Her father John (1821-1907) had died before the start of the first World War. He was born in Baron, Germany, and came to America with his father, also named John, and two brothers. After the German naming customs, we believe that Johannes was probably the given Christian first name. Richard Roher lists Margaret’s grandfather as “unknown,” although he could have be a John or Johannes also. We believe that he stayed in Germany. Where did our Georg’s (with no “E”) come from? From nobility? Is our Georg family descended from George “The Bearded” Duke of Saxony (1471-1539)? Did our John Georg family descend from one of the four generations of regional administrators known as John, Elector of Saxony (1585-1694)? As in many cultures, some of the given names in our family probably pay tribute to such great leaders, in this case the Elector’s issue: August, Christian, Magdelena, and Marie, to name a few. 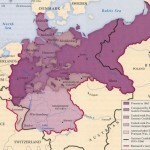 The Ancestry.com family message board refers to Johannes C. Georg, born in Saxton, Germany in 1815. Was he another “John” Georg who found his way to Western Maryland? Public records say that some of these Georg’s came from Stroessendorf, Bayreuth, Germany, after 1840. Today, some are buried in the Accident, MD, German Lutheran Cemetery. We know, however, that our closest Georg family members are buried at St. John’s German Lutheran Cemetery in the Cove, named certainly for the Apostle but perhaps also with the aforementioned “Johannes” in mind. From the original Greek, “George,” with or without the “E,” means “farmer” or someone who worked the land. According to HouseofNames.com, the English version, spelled “George,” usually contained the “E” but was rather rare in Medieval records. During the Crusades, and more contact with the Orthodox Church, when the legend of Sir George the knight slaying the dragon ( 303 AD) was immortalized, St. George became the patron saint of England and the name became as common as any biblical moniiker. Today, an annual feast honors his victory over satan, symbolized by the dragon. The first namesake to immigrate to America was Griffeth George, who landed at the Virgina Plantation in 1619. The name George is strongly associated with U.S. Presidents, from Washington to the two Bush’s. The entertainment world measures success from comedians George Burns and George Carlin, from Star Wars director George Lucas to actor George Clooney. Who knew that baseball giant Babe Ruth’s actual first name was George? There really are too many famous Georges to list here. The website Think Baby Names reports that “George” has 33 variant forms: Egor, Georas, Geordi, Geordie, Georg, Georges, Georgi, Georgie, Georgio, Georgios, Georgiy, Georgy, Gheorghe, Giorgi, Giorgio, Giorgios, Giorgius, Goran, Gyorgy, Gyuri, Igor, Jerzy, Jiri, Jorgan, Jorge, Jorgen, Jurgen, Jurek, Jurik, Yorick, Yorik, Yurik and Ygor. So, it’s safe to say that our Georg family name, without the “E,” is just another variation, but probably reserved for a surname. After all, the “E” is silent so what’s the difference. By the way, feminine derivations include Georgette, Georgia, and Georgina. The 1990 US Census lists “George,” as a first name for men, as number 16 out of 1220 and as a surname as number 230 out of 88,799. I think we can agree that “George” is a very popular name. No matter how one spells “George,” with or without the “E,” our family has been true to the original meaning of their name, “farmer.” Some of the old Georg farms in Western Maryland are still being tilled by our distant family. Whether we came directly from the powerful German Electors or not, we can be proud of the hard work undertaken in the New World, providing for our families and feeding America.